Further to the earlier Zonal Masterplanning work completed for the wider site, Fairhurst were commissioned by Hallam Land Management and TNEI to produce a detailed indicative residential layout, supported by Geotechnical, Drainage and Water services. 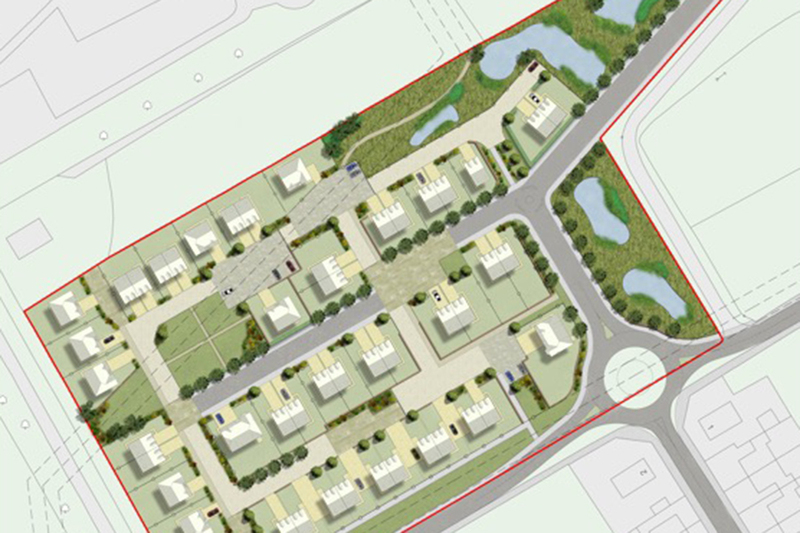 The site investigation and design was used to inform a successful Planning Permission in Principle (PPP) application for residential development on the site west of Glasgow which was approved. Through previous written representations, Fairhurst secured a housing allocation within the new North Lanarkshire Local Plan for approx. 350 units on the site and adjacent land. Initial intentions had been to deliver the site collectively, but owing to landowner constraints, only the south western extent of the site has been progressed. As part of the commission, Fairhurst’s Geotechnical and Water services have undertaken an in depth investigation of the site. This included desk and site based ground investigation, and flood risk analysis and modelling. Based upon resulting information and close liaison with TNEI, Fairhurst’s Urban Design and Landscape Architecture team produced a detailed residential layout that responded to existing site character and the important existing historical landscape framework present on the site and surrounding land. This included a blanket Tree Preservation Order. The approved design promotes initiatives such as shared spaces, home zones and good natural surveillance. 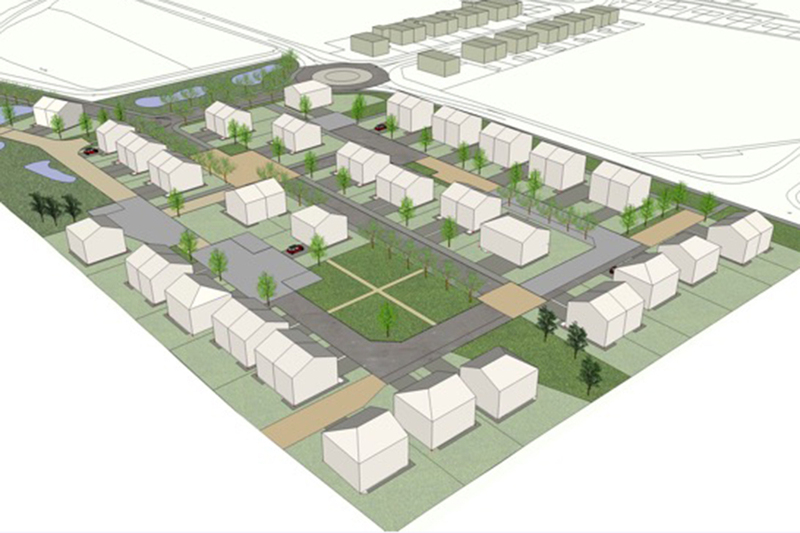 Fairhurst’s input has also included drainage design and the production of an outline SUDS strategy.